Searching for the best in Garden Maintenance in Pattaya? Look no further! Your garden can look amazing all the time! If you are interested in short or long term, low maintenance and up keep solutions for your garden or patio, talk to us here at J & E Concierge. We can also design and install a unique landscaped garden for you. One of the most problematic issues about gardening is finding the right time to get everything done. By hiring the J & E Concierge Gardening team, it will give you more free time and you won’t have to worry about any gardening duties. That’s why it makes such a big difference to have someone who will help you redecorate your garden in the way you would like. Whether it’s trimming and hedging, a total garden renovation or decorating a balcony, having professional help offers you a quick and efficient result and you will be able to spend your time on other things. Grass Cutting | Weeding| Hedge Trimming & Pruning | Garden Clearance | End of Tenancy Garden Tidy ups | Tree Cutting | Patio Cleaning | Landscape Design | Water Features | Decking | Fencing. When it comes to gardening, everything grows very quickly! That’s the beauty of living in Pattaya. 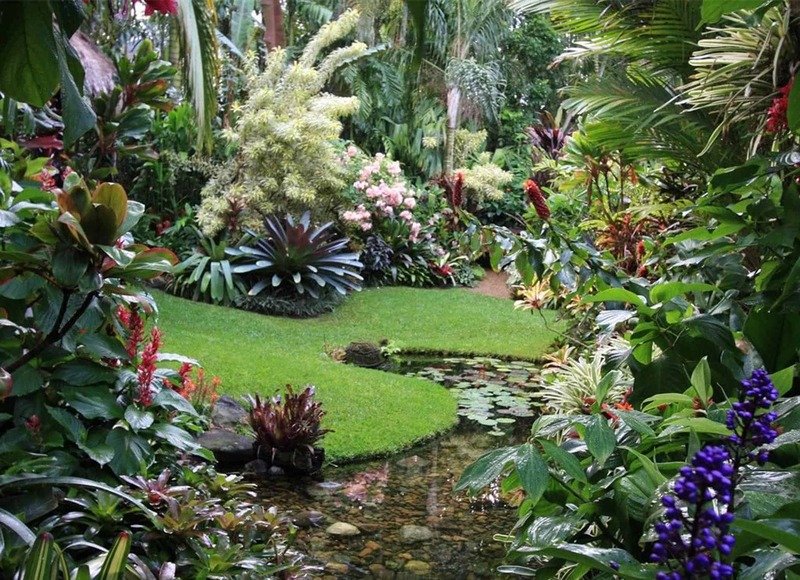 Which is amazing for growing exotic plants and shrubs, that can totally transform your inside-outside living space. The downside is that this needs constant care to keep it looking amazing. J & E Concierge have put together a team to help you with any large or small gardening jobs, frequent or one-off clearances. Full garden and site clearance, Severe pruning of shrubs clearance of unwanted shrubs and trees, Scathing down of long grass and shrubbery, End of tenancy garden clearance, Complete weed removal, Ground Clearing and Levelling. Is your patio not looking its best? If you seek professional patio cleaning, hire the J & E Concierge team today and you will see by yourself that your patio can look completely refreshed and new once our experts work their magic. Our patio cleaners are extremely skillful and really good at what they do. If all you want is a clean patio, then we can do that for you faster than you can imagine. Paths and patio’s, All types of decking, Fences and garden furniture, Brick and concrete walls. Having trees in your garden is a really special thing, offering privacy, shade, and even a natural adventure playground for the kids and pets. But dealing with tree maintenance is a much less magical part of having a majestic tree in your garden. Not only is it time-consuming and quite frankly hard work, but it can also be quite dangerous, especially if you don’t know what you are doing. Don’t just leave your tree to overgrow, as you’ll eventually end up bringing power lines down, or just annoy the neighbors. So what can you do when you need to trim and manage your trees, but don’t have the time, energy or inclination to do it yourself? Give J & E a call for a quote! Have got an idea for your garden? Then just tell us all about it! Have the garden you’ve always wanted! Or let us come up with a magical unique design. Turfing, Paving, Fencing, Decking, Water Features, Planting and hedging, Graveling, Artificial Grass, Turf, Sheds and storage solutions .